Multiple offers received, no offers accepted after 5 pm 11/20/2018. DRASTICALLY REDUCED FOR QUICK SALE! CHARMING 3 bedroom 2 bath home plus two car garage. BRAND NEW flooring and interior paint throughout the formal living, dining, kitchen and family room! BRAND NEW roof, new AC 2017, plus recently painted exterior creates excellent curb appeal. ENJOY the large patio and fenced yard ideally suited for pets and/or a new pool. Inside, the split-bedroom floorplan is ideal for a family or guest. 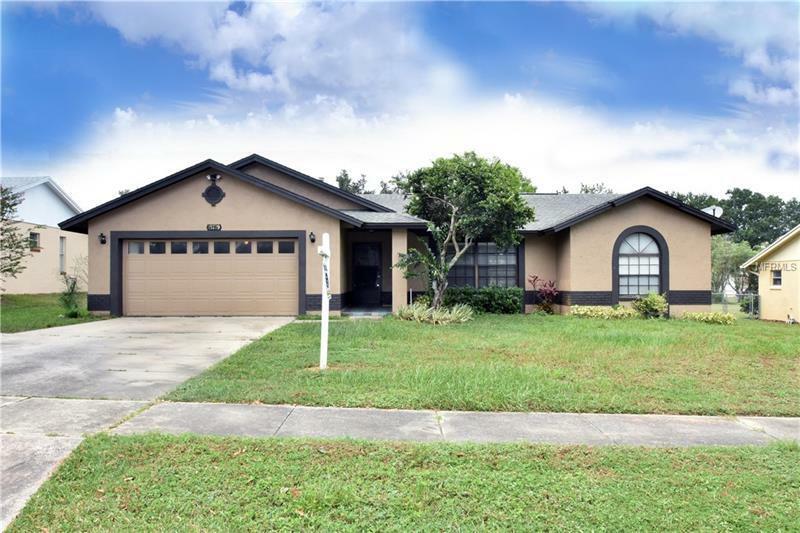 GREAT LOCATION with local shopping, restaurants and easy access to the Fl Turnpike. This one is worth a look! Call today.